Zeffert and Gold Catering is a proud partner of the National Multiple Sclerosis Society Greater DC-Maryland Chapter. 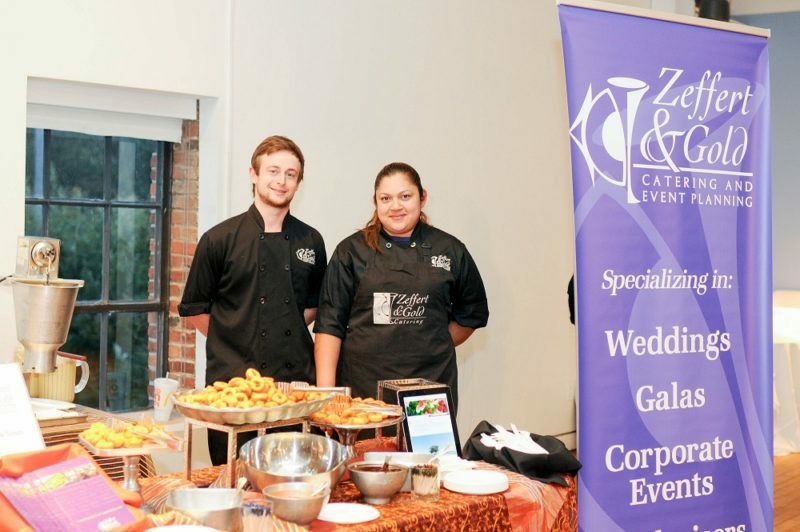 We were honored to serve as a food partner for their Women on the Move Event at the American Visionary Arts Museum. The Women on the Move Event is a special event recognizing the women who make Maryland great while raising funds to achieve a world free of multiple sclerosis. All proceeds for the event go towards funding research into the cause, cure and treatment of MS, as well as funding education, advocacy and local programs that enhance the quality of life for people affected by MS. 300 guests were in attendance, and helped to raise over $25,000. For this fun event, we made fresh, warm donuts on site for guests to enjoy. The smell of the donuts fried on site was too much for guests to ignore. Not to mention the assorted toppings for the donuts, which guests were able to choose and add from, including chocolate sauce, powder sugar, sprinkles and so much more. We were honored to be a part of this Baltimore catered fundraising event. We look forward to serving the next Women on the Move event, and helping in the fight to end MS.
Error: Error validating access token: Session has expired on Friday, 12-Apr-19 20:42:14 PDT. The current time is Thursday, 18-Apr-19 05:38:03 PDT.